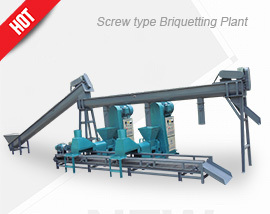 A set of small briquetting machine for sawdust was exported to the Philippines. He is one of our new client, a business man who is planning to start a trail production of sawdust briquettes in the Philippines. View the following photos taken in the packing and loading process to know more about the equiment of this order. C.F. Nielsen is a well-recognised name in the briquetting industry, and is based in Denmark. The company was established in 1889, and celebrated their 125th anniversary in 2014. They are famous for their biomass briquette press which is used for industrial boilers and home heating stoves. 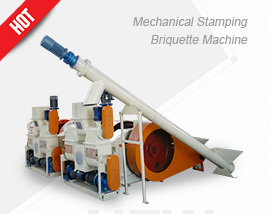 They are the Rolls Royce of briquette press manufacturers, so you will pay the price that goes along with their superior quality. RUF is the North American subsidiary of Ruf GmbH & Co. KG in Germany, a comparatively new company who've been in the Briquetting business for more than 40 years. RUF are considered the premier provider of industrial briquetting systems in the USA. Their systems are most commonly used for wood and biomass. Their machines are cheaper than the C.F. Nielsen machines, but more costly than the briquetting machinery manufactured in China. Guru Kirpa, based in India, has manufactured a biomass Briquette making machine which resembles the C.F. Nielsen machine, and is available at a significantly lower cost. They have not yet established themselves as a reputable, high quality manufacturer. E.P. Machinery, also based in China, supply a variety of briquettes making machines at very low cost. If the cost of the machine is the only consideration, then one may be tempted to go this route. ABC Machinery is a Chinese manufacturer with over 20 years’ experience in briquette machine manufacturing and turnkey briquetting project solutions, who now export their machines to more than 50 countries. They are establishing a solid reputation for good quality machines and excellent after-sales service. People in the Briquette making business understand the importance of having reliable briquetting equipment that can run for long hours, consistently make good quality briquettes. The old adage that "you get what you pay for" is often a painful lesson to learn in business. While it is important to keep costs down, buying a cheap machine that breaks down regularly will not only cost money in repairs, but will also cause the owner to lose revenue due to forgone sales. After sales service in the event of a breakdown. If a Briquette making machine is standing, it is not making you any money, and deliveries may be delayed, resulting in lost sales or perhaps even lost customers. Statistics show that it costs far less to retain an existing customer than it costs to obtain a new customer. If you select a machine which is not locally manufactured, it is important to ensure that there is a solid support base in or near the area in which your business is situated. ls the company selling you a machine or providing you with a solution? 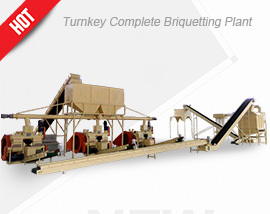 ls the Briquette machine supplier willing to offer assistance with solving problems in the Briquette making process? It is in their best interests that your business thrives, so they should be willing to provide guidance to assist you in maximising your process efficiency and product quality.